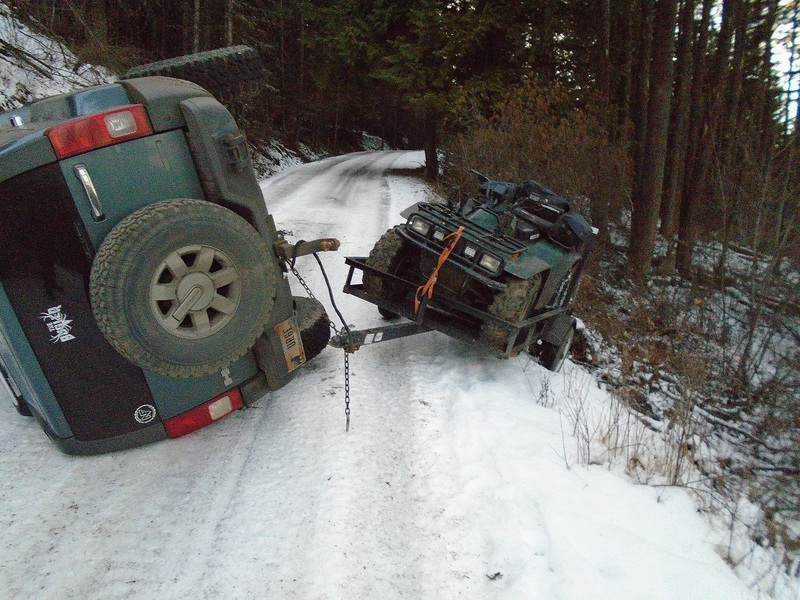 On 01/30/2019 at approximately 1600 hours, a Clearwater County Deputy responded to the area of Pheasant Drive for a report of a non-injury roll-over accident. James Willey 48, was driving his 2007 Hummer down a steep section of Pheasant Drive when the vehicle slid on the icy roadway. When his vehicle slid on the ice, it caused his vehicle to impact the embankment which rolled his vehicle. Neither Willey nor his passenger Gary Hardesty 47, were injured. This was determined to be on private property.